Cadet Training at Maylandsea Bay Sailing Club. MBSC has an active cadet section. The sheltered waters of the Maylandsea Bay are ideal for learning how to sail under the guidance of RYA qualified instructors. The club has a number of boats and safety equipment available to use. Please contact Paul if you wish to hire a boat through the season. Maylandsea Bay week in second week in August. Cadets are also encouraged to sail on Sundays when racing is programmed with shorter courses for the less experienced. Regular training sessions are organised for cadet aged 8 to 18 and adults members to learn how to sail safely and have fun on the sheltered tidal waters of Maylandsea Bay. 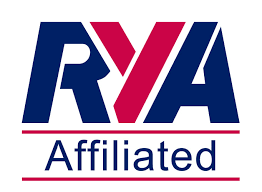 The Club has number of RYA qualified instructors and trained safety boat crew. For 2014 six Saturday sessions have been programmed from May to end of July. In September there is a one day training regatta. Each session will have an instructor and safety boats will patrol the water andwill allow 2 to 3 hours of sailing time with briefings before and after the on water activities. Food will be available from the club galley. A staged training course (based on the RYA training programme) has been developed. Participants can record their progress in a log book as the season progresses. There is small charge for the sessions of £5 per participant. This will help cover prizes, log book printing, etc…For those with more experience we wish to run race training exercises. Cadets need to be accompanied on the day and support from parents and guardians on the day is welcomed. This could be as crew in the safety boat, helping to start and finish races, retrieving and launching dinghy trolleys, videoing the sailing activities. Participants will need to have their own clothing – wet suit, spray top, foot wear (wet boots or wet shoes preferred) and buoyancy aid. The club has a number of boats available to be used – Picos in the main. You can use your own boat as long as it is sea worthy. On a number of training days camping at the club is available on the Saturday - train Saturday and race on Sunday. We will also give tips to help with racing on the Sunday. Watch out for more information and how to sign up for the training courses.